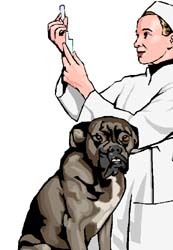 A credit card company for health care, including veterinary care. "CareCredit, the leader in patient/client financing, has helped more than 3 million patients/clients get the treatment or procedures they needed and wanted. With a comprehensive range of plan options, for treatment or procedure fees from $1 to over $25,000, we offer a plan and a low monthly payment to fit comfortably into almost every budget." "The mission of the Handicapped Pets Foundation is to support caretakers of elderly, disabled, and special needs pets with the equipment, especially dog wheelchairs, they need to live happy, healthy lives. Assistance is provided for those people with a demonstrated financial need." 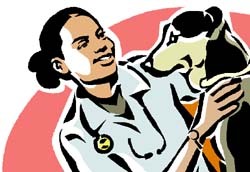 Pet Assistance, Inc. has been helping people and their pets since 1973, with the main focus on veterinary subsidies for needy people and emergency care, nationwide. 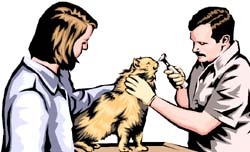 The goal of the program is to help animals who need immediate veterinary care to survive. The typical grant is $100 to $200. Decisions are based upon several factors, including: medical urgency, financial need, available funding and eligibility.